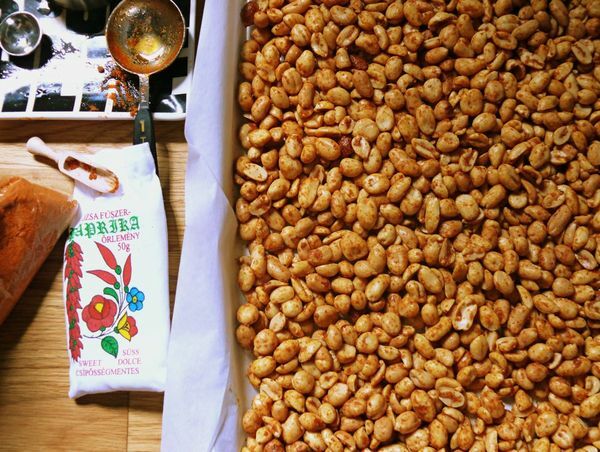 who knew making spicy peanuts at home was so simple?? oh. you did. well, i attempted this in the past, sans recipe, but the nuts came out all gloopy and not that tasty. this recipe, however, turned out perfectly. i filled 3 mason jars with these peanuts and stuck them in the fridge. i planned to make the batch last longer than it did. ha! oh how i kid myself. in order to do that, i would have to NOT walk over to the couch with a full jar and a glass of white wine on a hot evening, in what’s become my mad men-watching ritual. sure, i could just fill a tiny bowl instead, but what would prevent me from refilling it every time i refill my glass? ooops. i’ve said too much. i blame the show! they smoke and drink so much scotch that my indulgences seem innocent! 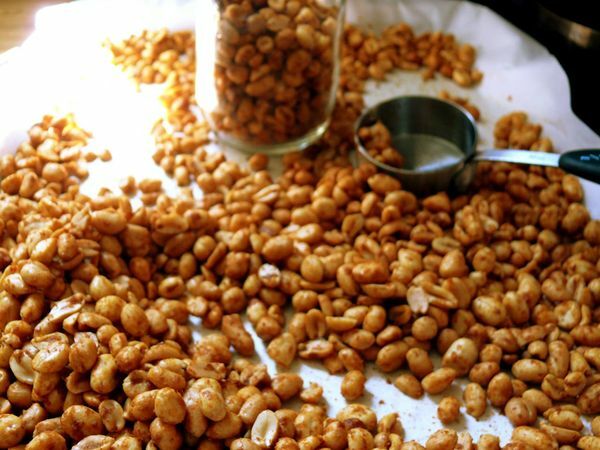 i’m making chili peanuts again this sunday. even if you already have your mad men ritual down, you’ll want to make these too. they’re equally good with your mid-morning cocktail or after-dentist drink. …what? I’m doing this. Next weekend. I hope.